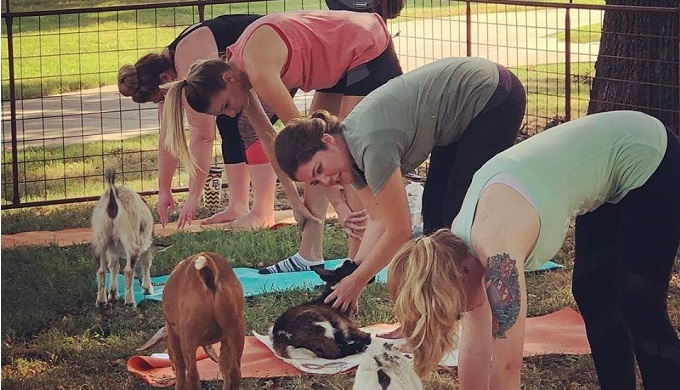 The Newest Holistic Trend Has Made Its Way to Texas - Goat Yoga! 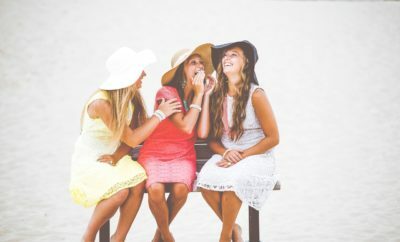 With mental health awareness being a bigger part of our daily lives than ever before, there are lots of holistic practices to give a try as we attempt to address anxiety, depression, and a myriad of other mental health issues. 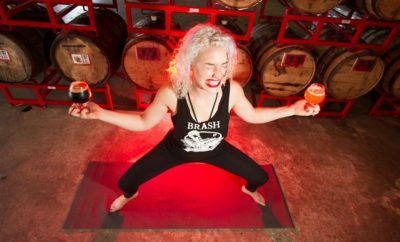 These days, yoga is a popular holistic answer to these problems. However, it’s been taken to a whole new level with baby goats. 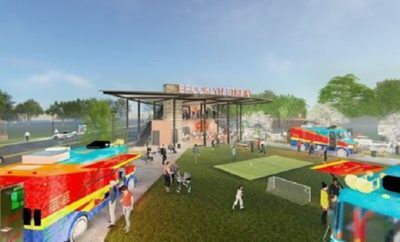 The newest trend in yoga is called caprine vinyasa – it’s a laid-back form of yoga with pygmy goats in an enclosed area, and it’s everything you’d hope it to be – fun, challenging, and filled with goat cuddles. 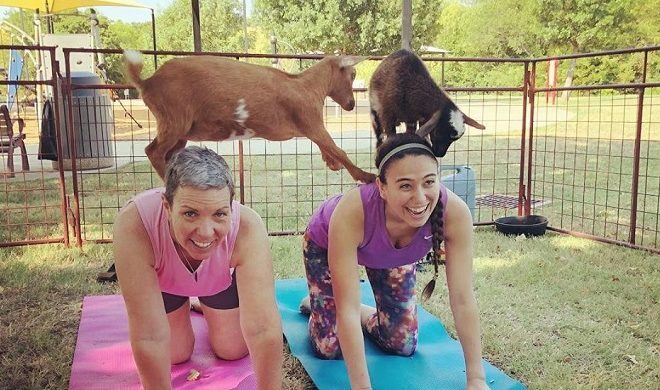 The concept of goat yoga began in 2016, when Oregon farmer Lainey Morse decided to host yoga classes at her farm with her baby goats present. She was going through a difficult personal time herself and found that her goats improved her quality of living and her outlook on life. She claims it’s difficult to be sad when baby goats are jumping on you! 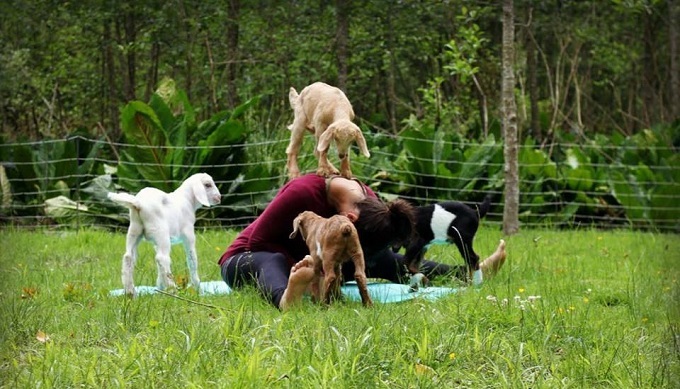 She decided to extend this gift to others, and this is how goat yoga was born. To fully appreciate the complexity of goat interactions combined with the ancient practice of yoga, a brief history of both is in order. Yoga has a long and somewhat muddled history – some people believe that it’s at least 10,000 years old, but the earliest documented texts recording it are only 5,000 years old. However, it is generally accepted that it that began in India. How yoga is practiced has evolved over time; in the early days, it was a religious ritual, detailed in sacred Indian texts meant for the priests. Over time it became a ritual for enlightenment through physical discipline. Now, it’s a popular mindfulness practice and is used for emotional healing, better focus, better posture, and muscle strength.